AUGUSTA – Tiger Woods ended his 11-year wait for a 15th major title at the Masters. 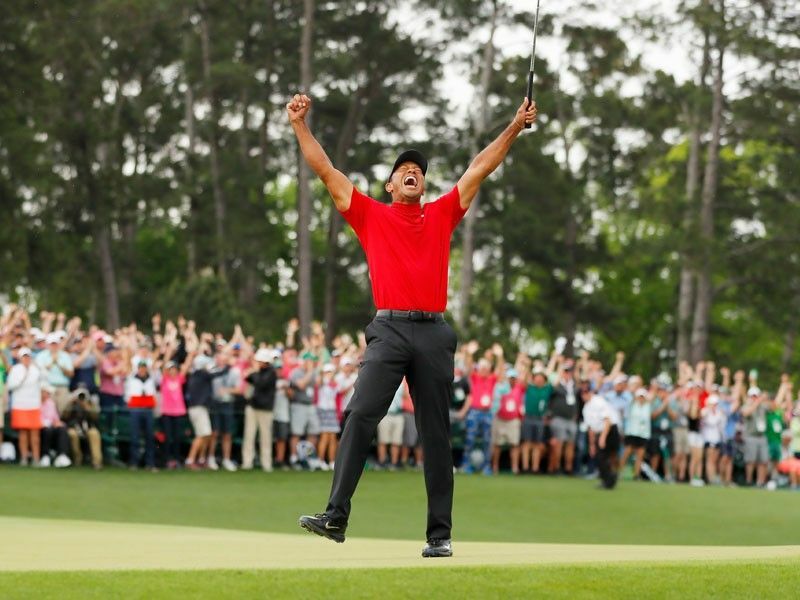 The cheers and raw emotion of Woods' victory at Augusta National on Sunday (Monday Manila time) had barely subsided before the 43-year-old was asked about whether he would now resume his chase for Nicklaus's record. Nicklaus, however, believes the record is back in play, noting that two of this year's remaining majors — the US Open and US PGA Championship — will be staged at courses where Woods has won before. The US Open in June will be held at Pebble Beach — where Woods won by a stunning 15 strokes in 2000. Now, Woods quipped, even his old rival Phil Mickelson — famed for his love of fast-food burgers — is working out. He took the lead at the 15th hole and never gave it back — achieving one more first in a career stuffed with records and firsts: his first major triumph when not leading through 54 holes.